Patient-level utility data are needed for cost-utility analysis; in oncology, however, the data are commonly gathered using disease-specific questionnaires that are often not appropriate. 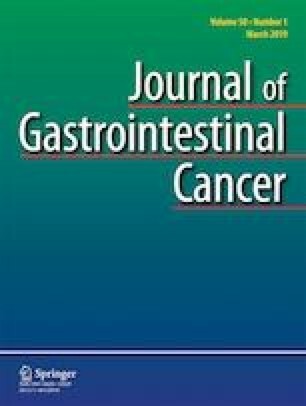 Present study aimed to derive an algorithm which can map the European Organization for Research and Treatment of Cancer Quality of Life Questionnaire-C30 (EORTC QLQ-C30) scales and the Colorectal Cancer-Specific Quality Of Life Questionnaire (QLQ-CR29) scales onto the EuroQoL 5-Dimension 5-Level (EQ-5D-5L) values in patients with colorectal cancer (CRC). Using the Ordinary Least Square (OLS) model, a cross-sectional dataset of 252 patients with CRC were gathered from three academic centers of cancer treatment in Tehran in 2017. The predicted R2 (Pred R2) and adjusted R2 (Adj R2) are used to evaluate model goodness of fit. Additionally, mean absolute error (MAE), root mean square error (RMSE), Spearman’s correlation coefficients (ρ), and intraclass correlation (ICC) are applied to assess predictive ability of models. The tenfold cross-validation procedure was applied for validation models. According to the results of our study, the model C4 from EORTC QLQ-C30 was the best predictive model (Pred R2 = 66.57%, Adj R2 = 67.67%, RMSE = 0.10173, MAE = 0.07840). Also, the model R4 from QLQ-CR29 performed the best for EQ-5D-5L (Adj R2 = 48.42%, Pred R2 = 45.54%, MAE = 0.10051, RMSE = 0.12997). The mapping algorithm successfully mapped the EORTC QLQ-C30 and QLQ-CR29 scales onto the EQ-5D-5L values; therefore, it enables policymakers to convert cancer-specific questionnaires scores to the preference-based scores. The authors hereby bestow much gratitude to the chemotherapy and radiography departments of Imam Khomeini, Shohadaye Tajrish, and Shohadaye Haft Tir Hospitals for their valuable collaboration and participation in the present study. We also express our gratitude to EuroQoL Group who converted EQ-5D-3L into EQ-5D-5L values. This report was approved by the ethics committee of the three selected centers. This study was funded by Iranian National Science Foundation (grant number 96010306), and Tehran University of Medical Sciences (grant number 240/1938). This report is part of a PhD project that was and was approved by the ethics committee of the three selected centers, registration number: 240/1938. Informed consent was obtained from all patients included in the study.